Not a bad park. My biggest only gripe was the grass was always sticking to your shoes and it tracks everywhere. The pool was decent, nice and warm. We used the laundry facilities wash $2 dry $1.90 good washers and dryers. Bathroom had sufficient showers, but it took a while to get hot water. Some shady spots, paved roads, cement picnic table pads. Owners were nice, bathroom cleaning lady was grouchy! Pretty quiet off the main road. I. would stay again just for the price. This is a older park with a lot of snowbirds in park models and old trailers. The entire park looks messy because of the layout and the amount of things the residents have outside their units. The wi-fi is very bad, mostly non existant in the park, however they have a hot spot next to the laundry room. It is outside under a little gazebo, and in this location, the internet wroks fine. The laundry room is nice and clean. The spaces are grass/gravel with a concrete patio. Only 30 amp hook-up. No cable TV but many digital stations over the air. Located close to shopping, restaurants, Disney, Seaworld and 20 minutes driving from Universal Studioes. So - if you dont ask for nice surroundings but a place to stay while doing all the stuff you can do in Kissimmee and Orlando, Orange Grove is fine. Stayed for a week right before Christmas 2016. The park has been renamed Kissimmee RV Park and there is new management. We had excellent internet and the ability to get true high speed wireless direct from Brighthouse Networks (now Spectrum). The staff was excellent and friendly. They helped in my rebooking and have been wonderful to deal with. I will be back again in May. Did not utilize the showers, but the Laundry was very good. Enough machines to do everything at once and not hog all the washers. Site was pretty level and paved. Power was good and clean at 50 amps. Water pressure was excellent (we limit it to 40 PSI) and never had any issues with pressure dropping below 40. I was able to easily get the 39ft class A coach into the park, around the bends and parked in the space. It is off the main road a bit, which is not a bad thing. Very nice managers and staff. Older park but we'll kept. Nothing fancy, no 50 smps, no cabke. Nice and quiet. About 20 minutes from Seaworld, 5 minutes from Old Town and 15 minutes from Disney. Lots of restaurants and shopping near by. Stayed here past 2 years for convention held in November. They have a nice selection of books in their trading library in the office. Formerly known as Orange Grove. 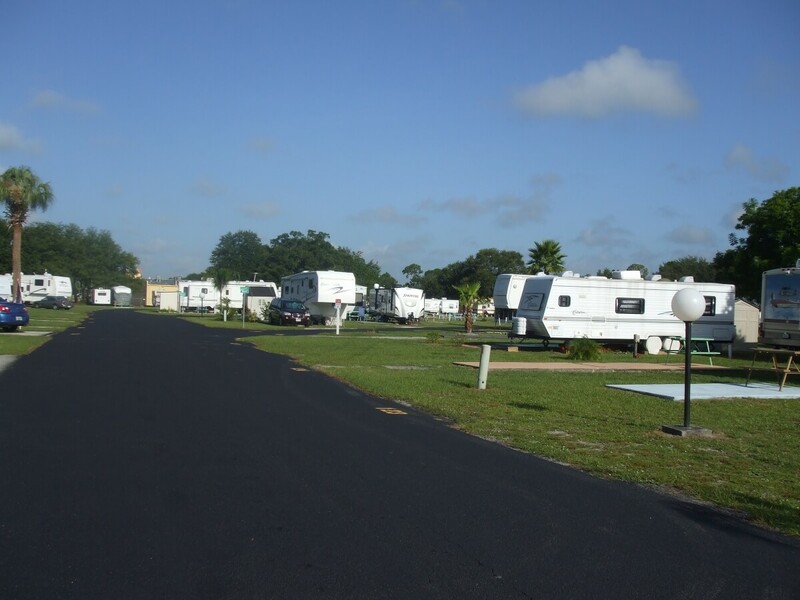 Kissimmee RV Park is centrally located and 6.5 miles from the peripheries of Disney World’s Magic Kingdom. Orlando attractions are generally within 30 minutes of our Kissimmee campground and RV park rental. Easy access from I-4 and the Florida Turnpike. There are 193 camping sites at this Orlando campground and RV park 34746. 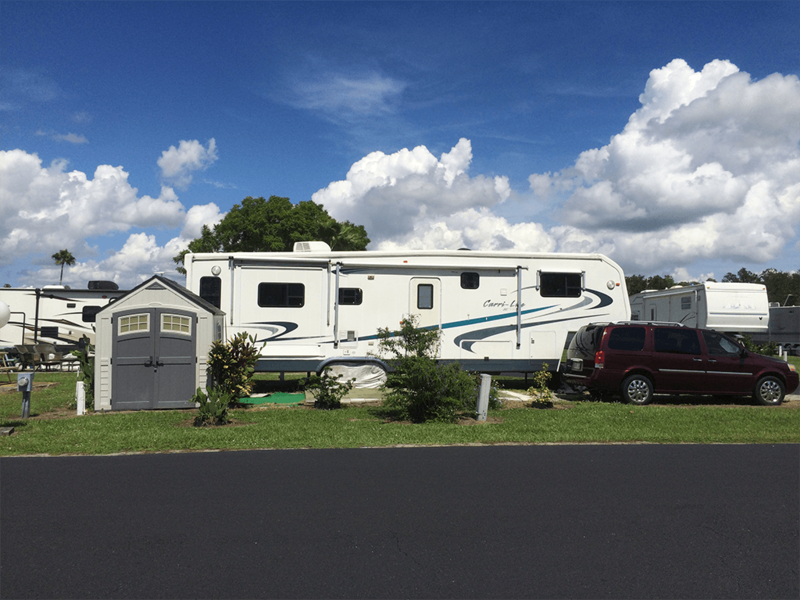 Kissimmee RV Park can meet all your camping and RV needs with sites for recreational vehicles, motor homes, campers and tents At Kissimmee RV Park, families, rallies and groups are welcome – we are pet friendly rv park too! We cater to seniors in the winter and families during the summer. Our amenities include a heated pool, recreation hall with kitchen and bingo, WiFi, shuffleboard courts, horseshoe pits, and clean restrooms and showers. 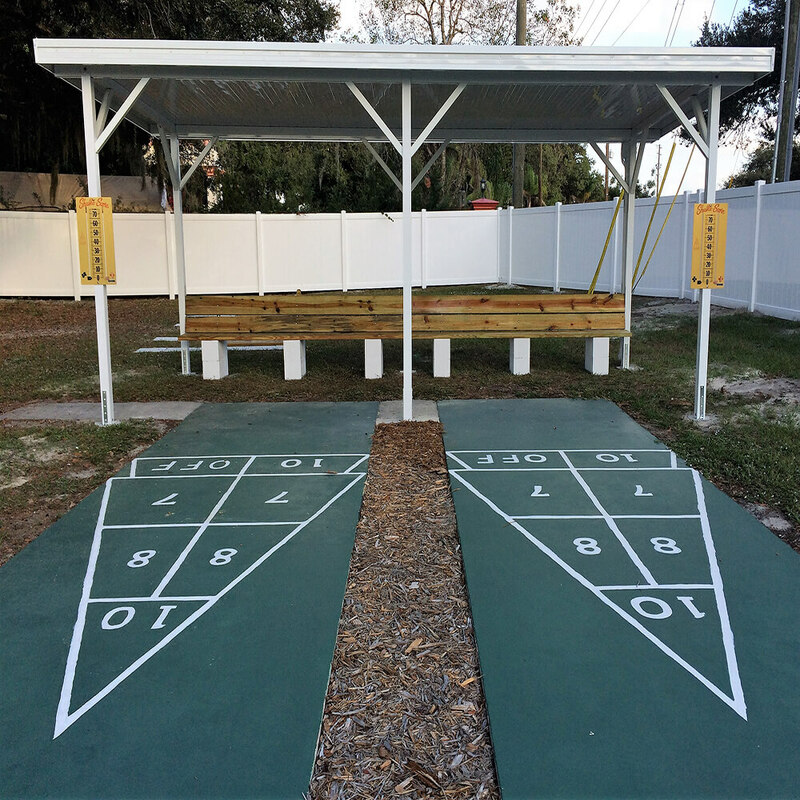 Each Orlando camping site includes a concrete patio and a picnic table. Our recreation hall is perfect for bingo, potluck dinners and various gatherings during the winter months. This Florida RV Park is a long block off of Hwy. 192 (West Irlo Bronson Memorial Highway) just minutes away Medieval Times, Old Town, dinner theaters, miniature golf, indoor flea markets, and major retail and employment centers. 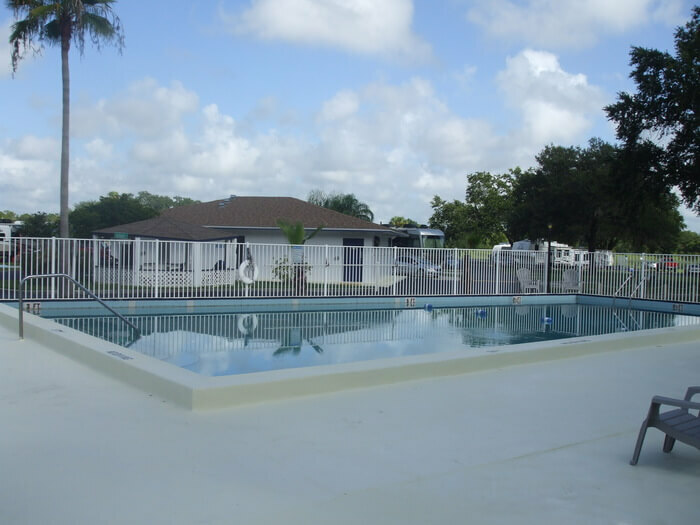 This RV Resort in Kissimmee is one you do not want to miss!